Percy Lennox Young was born in Orange in 1890. He was one of 12 children born in Orange and various Sydney suburbs to Arthur Lennox Young and Ada Seers. Nothing can be found of his early life, however being an engineer by trade one could assume that he received a good secondary and possibly tertiary education. In 1911 Percy married Ida Evelyn Smith in Ashfield and two children were born of the union: Winifred, born 1912, and Jean Margaret, born 1913. Sadly, Jean died at the age of eight months. Prior to his enlistment at Liverpool on 25 February 1915 Percy served three years with the No 1 Electric Co Engineers for. He was attached to 19th Battalion, A Company, and one month later was promoted to Sergeant. On 29 March 1915 he embarked per HMAT A40 Ceramic in Sydney. Percy was hospitalised twice during October 1915, once for dysentery, in Malta, and later for rheumatic fever, in England. He pleaded guilty to altering his pay book to the sum of £24 and thereby overdrew his account to the extent of £21 5s. In his defence, he said he had planned to return the money when further funds had arrived from Australia. He did not realise that this would be such a serious crime. Immediately after [the court martial] he developed Mental symptoms – became nervous, frightened, looked wild and distracted and lost the power of speech. 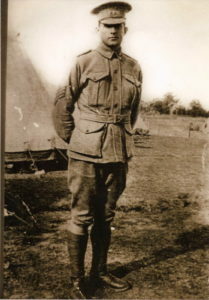 Percy Young returned to Melbourne, Australia, on 26 September 1916 via HMAT Marathon. 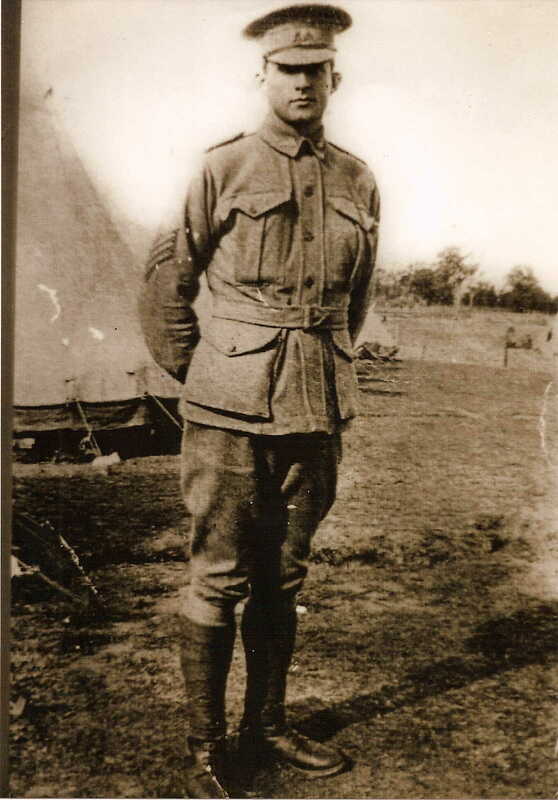 He was discharged from the Australian Imperial Force on 30 October 1916 as medically unfit, although his speech did return. The scars of war can be physical, but they can also be mental. 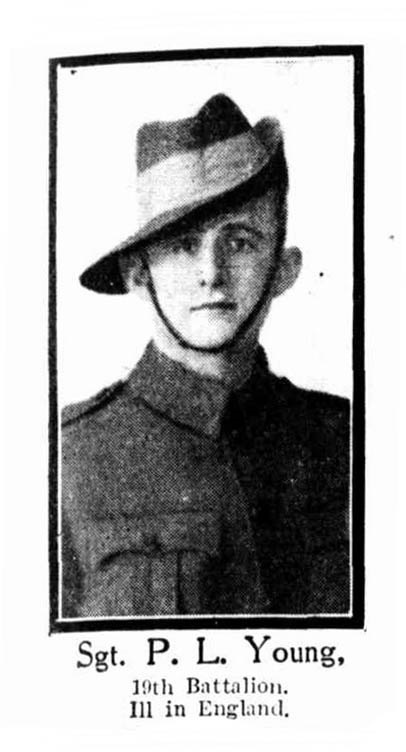 A body was found in the Gap Park, Watsons Bay, in May 1918 which was later identified as Percy Lennox Young. He had suffered a bullet wound to the head. A Coroner’s Court ruled Percy’s injury to be self-inflicted. Percy Lennox Young, aged 28, was laid to rest in Presbyterian Section of the Woronora Cemetery alongside his eight-month-old daughter Jean and his father Arthur Lennox Young. Percy Lennox Young. Image courtesy National Archives of Australia. Hi, that’s a sad outcome and would be just the tip of the iceberg of those who returned. Yes Neil, suicide during and after the war was a recognised problem, but went largely unreported. Several of the district’s men died post-armistice from physical wounds. Many others, nurses included, suffered the ongoing effects of what is now known as post traumatic stress disorder. This entry was posted on October 12th, 2018.